The MCU architecture module for MIPS has been developed to extend the interrupt controller support, reduce the interrupt latency and enhance the I/O peripheral control function typically required in microcontroller system designs. It was first implemented on the MIPS32 M14K family of processor cores, and is now a part of the microAptiv, M51xx, and M62xx core families. 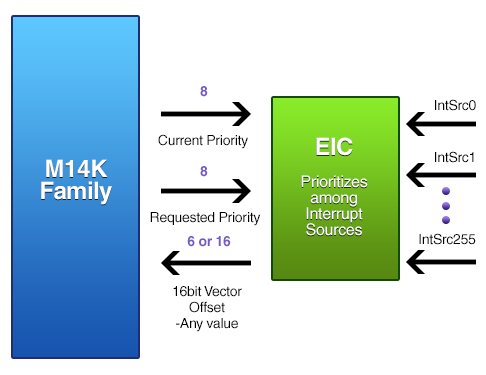 The MCU module supports both MIPS32 and microMIPS Instruction Set Architectures (ISAs). Includes atomic bit set/clear instructions which enables bits within an I/O register that are normally used to monitor or control external peripheral functions to be modified without interruption, ensuring the action is performed securely. Automated Interrupt Epilogue – restores the system state previously stored in the stack for returning from the interrupt.